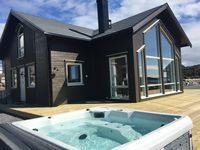 Properties in Austevoll average 4.4 out of 5 stars. New cottage by the sea for rent. Boat can be rented! Property 17: New cottage by the sea for rent. Boat can be rented! Great family friendly cottage by the sea. New modern cottage with great facilities. Property 22: Great family friendly cottage by the sea. New modern cottage with great facilities. Beautiful House With Fantastic Sea View Right Outside Bergen City. 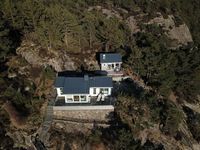 Property 26: Beautiful House With Fantastic Sea View Right Outside Bergen City. Beautiful setting on the water. House is very nice and had all the comforts of home. This is a truly beautiful house built and furnished with loving care by Khristian and Kerstin and we had a wonderful four-day visit to start our trip in Norway. Sitting on the terrace to watch the sunset over the water and the ferries crossing the fjord in the distance is a great way to end the day. Bergen is a short ride away through some beautiful countryside. Both bedrooms look out on the scenery, and the house's secluded location makes it a quiet, peaceful place to stay. Kitchen is among the best appointed we have seen. The walk in to the house is through a lovely forest and our 88 year old guest handled it nicely, despite the ups and downs. Highly recommended.